I guess any way they can hide illegal activity. In the span of a week this summer, juries opted against convicting three police officers charged in high-profile shootings that were captured on video. In each of those cases, the video and the case prompted protests and unrest. In each of those cases, prosecutors filed charges and decried what had happened. Each case ended with an acquittal, showing what law enforcement officials and experts say are the limitations of video evidence. Remember, Missouri is the only state since the Civil Rights Era to be issued a “Travel Warning” by the NAACP for persons of color travelling through the State.With the reinstitution of Jim Crow by other means in the State, the Republican politician have created conditions where – you best go armed, and be ready to use it in my view. At some point theng get really bad. Demonstrators clashed with police officers Friday night in St. Louis after the acquittal of a white former police officer who was charged with murder last year for fatally shooting a black driver after a car chase. In a video tweeted after midnight on Saturday, St. Louis police chief Lawrence O’Toole said at least 23 people had been arrested as of 6 p.m., and 10 police officers had suffered injuries including a broken jaw and a dislocated shoulder. “Many of the demonstrators were peaceful. However, after dark, many agitators began to destroy property and assault police officers,” O’Toole said in a joint video statement with Mayor Lyda Krewson. Roughly 1,000 protesters descended on the mayor’s home, throwing rocks and breaking windows, according to the St. Louis Post-Dispatch. They were met by about 200 police in riot gear who tried to disperse them with tear gas. The mayor did not appear to be home. The night of violence began with peaceful demonstrations earlier in the day after a judge acquitted former St. Louis police officer Jason Stockley for killing Anthony Lamar Smith in December 2011. In a court document submitted by the St. Louis circuit attorney, the investigator on the case said Stockley and another officer had been chasing Smith at speeds up to 80 m.p.h. when Stockley said he was “going to kill this motherf‑‑‑er, don’t you know it” and told the officer to drive into Smith’s slowing car. The document said Stockley then approached Smith’s window and fired five times into the car, hitting Smith “with each shot” and killing him. In addition, prosecutors accused the officer of planting a gun on the victim: There was a gun found in Smith’s car, but it was later determined to have DNA only from Stockley. Judge Timothy Wilson, the circuit judge who heard the case in a bench trial, acquitted Stockley on the murder charge as well as a charge of armed criminal action in a 30-page order released Friday morning. Following the verdict, Smith’s mother, Annie, said the judge made the wrong decision. “Justice wasn’t served. I can never be at peace,” she told Fox2Now. A West Point graduate who served with the Army in Iraq, Stockley said that his job as a St. Louis cop grew so dangerous, he began carrying unauthorized weapons with extra rounds. Local and state officials said they were prepared for potential unrest following the acquittal. Some schools in the St. Louis area were shuttered and events in the region were postponed as the verdict loomed. In the afternoon, police used pepper spray on protesters blocking their path, while demonstrators smashed the front windshield of a police SUV, the Post-Dispatch reported. Before the verdict was announced, Greitens stood with Christina Wilson, Smith’s fiancee, to deliver a joint message asking people to protest peacefully. “One life has been lost in this case, and we don’t need more bloodshed,” he said. The problem Ms Wilson, is it isn’t just “one life” – there have been four trials of Police Officers in the area in 4 months…All of which have resulted in acquittals. It is now a Public and personal safety issue, created by a racist and corrupt government at every level. I am not advocating killing Cops or violence, no will I support that in anything but self defense…But if you must go there because you feel there is no other solution – then aim a little higher in the food chain. The Cops cannot commit crimes unless here are criminals supporting their actions. You can expect no support form a Jeff Sessions DOJ at the Federal level, because they are now in cahoots with local government racists and oppressors. Murder most foul as the state’s legal system declares war on black men. A Missouri judge on Friday found a white former St. Louis police officer not guilty of murder in the shooting death of a black man after a car chase in 2011, prosecutors said. 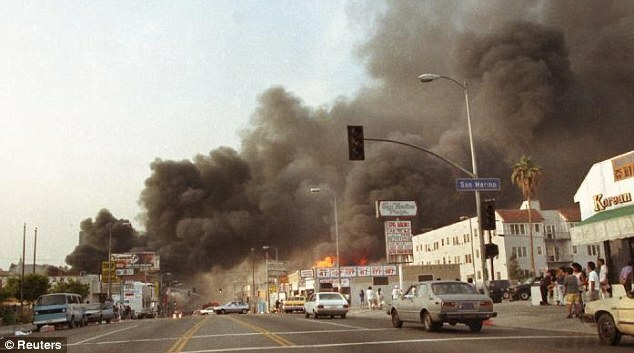 Officials feared the verdict could set off violent protests, as have similar deadly cases involving police and minorities around the United States in recent years. 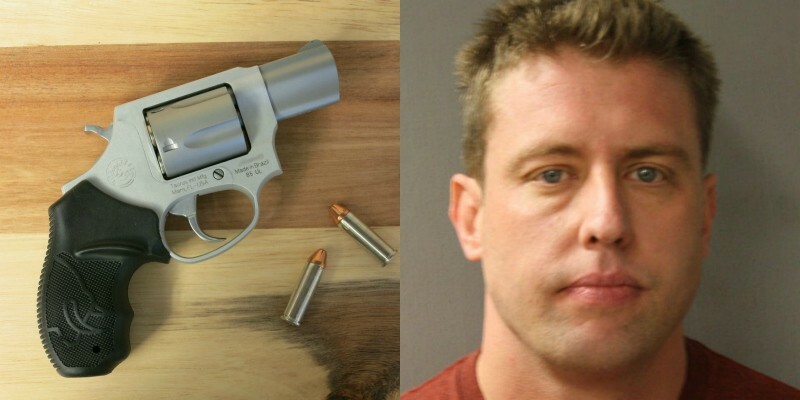 Jason Stockley, 36, had been charged with first-degree murder, accused of intentionally killing Anthony Lamar Smith, 24, and planting a gun in his car. Stockley, who was arrested in May 2016, testified he acted in self-defense. Judge Timothy Wilson’s highly anticipated ruling was announced Friday, more than five weeks after the bench trial ended. “This court, as a trier of fact, is simply not firmly convinced of defendant’s guilt,” the judge wrote in his ruling. Wilson said prosecutors also asked the court to consider a lesser degree of homicide but they did not prove beyond a reasonable doubt that Stockley’s use of deadly force was not justified in self defense. “A judge shall not be swayed by partisan interests, public clamor or fear of criticism,” the judge said, quoting the Code of Judicial Conduct. Prosecutor Kimberly Gardner said in a statement she was disappointed with the verdict and believed she had presented proof that Stockley intended to kill Smith. Killings of unarmed black people by U.S. police in recent years triggered widespread protests and activists promised disruptive demonstrations if Stockley was acquitted. St. Louis and state officials were braced for violent protests and racial tensions like those that followed the 2014 fatal shooting by police of unarmed black teenager Michael Brown in Ferguson, near St. Louis. Activists were angry and disappointed by the verdict. In recent years grand juries have declined to charge officers involved in the shooting of Brown and the choking death of Eric Garner, 43, in New York. Baltimore police officers also were not convicted in the death of Freddie Gray, who died from a broken neck suffered in a police van in 2015. Jeffrey Mittman, executive director of the ACLU of Missouri, in a statement listed the names of several black people who have been fatally shot by police in different cities and said little has changed. 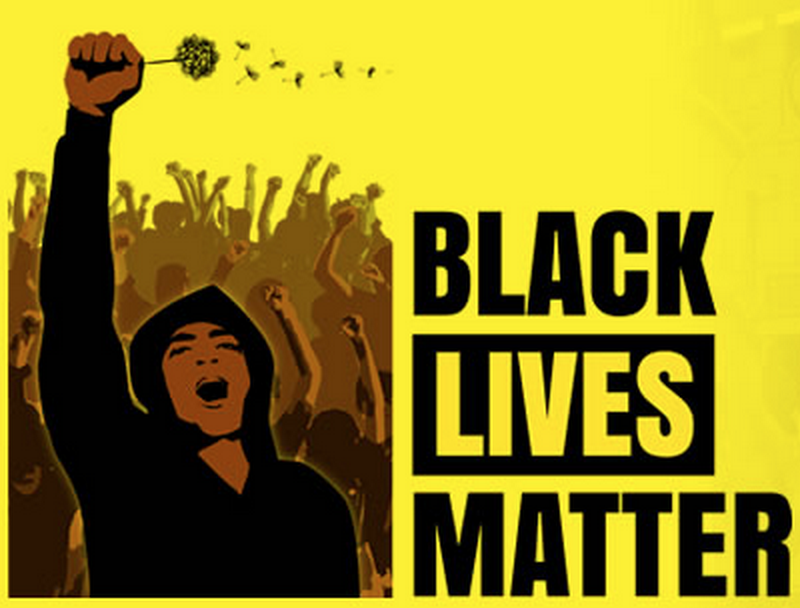 “Police officer Jason Stockley’s acquittal today does not change the facts: Anthony Lamar Smith died unnecessarily, another casualty of excessive and deadly force by police against people of color,” Mittman said. Missouri Governor Eric Greitens on Thursday put the National Guard on standby. Some schools called off classes and some events were postponed, according to local media. Christina Wilson, Smith’s fiancée, pleaded at a news conference on Thursday evening for protesters to avoid violence if they demonstrate. The verdict in St. Louis follows high-profile mistrials or acquittals of police officers charged in shootings in Ohio and Minnesota this year. Authorities say Smith tried to flee from Stockley on Dec. 20, 2011, reportedly after Smith was involved in a drug deal. During a pursuit, Stockley could be heard saying on an internal police car video that he was going to kill Smith, prosecutors said. Stockley, riding in the passenger seat of a patrol vehicle with his personal AK-47 in one hand and department-issued weapon in the other, shot at Smith’s car, according to St. Louis Circuit Attorney’s Office spokeswoman Susan Ryan and charging documents. Stockley and his partner chased Smith at speeds exceeding 80 miles per hour (129 kph), the documents said. At Stockley’s direction, the driver of the police car slammed into Smith’s vehicle and they came to a stop. Stockley then approached Smith’s car and shot him five times, court documents said. Stockley’s lawyers said he fired in self-defense because he believed Smith was reaching for a gun but prosecutors said the only gun recovered from the scene had only Stockley’s DNA on it. Why is it this cop wound up in Harris County? Applying for a job as a guard? Harris County jail has a bit of a reputation for prisoners dying in custody, both from “natural”, and decidedly un-natural causes. A former St. Louis police officer has been arrested and charged with first-degree murder for the on-duty shooting death of Anthony Lamar Smith — an incident that led to one of the largest wrongful-death settlements stemming from a police shooting in the city’s history, the Post-Dispatch has learned. Circuit Attorney Jennifer Joyce’s office on Monday charged Jason Stockley, 35, of Houston. St. Louis police and U.S. marshals arrested Stockley on Monday at his home in the 6300 block of Chevy Chase Drive in Houston. St. Louis Circuit Judge Michael Mullen ordered Stockley held without bail. He is in custody in Harris County, Texas. Dotson said Joyce’s decision to charge Stockley was the “culmination of years of investigative work,” in a prepared statement he issued Tuesday. Stockley shot Smith, 24, in December 2011 after a suspected drug transaction and high-speed chase. State and federal prosecutors had filed no charges. After shooting at Smith’s car, Stockley and his partner, Officer Brian Bianchi, chased the victim at speeds over 80 mph. While in pursuit, the police SUV crashed, backed up and continued following Smith’s vehicle. During the chase, Stockley says, “going to kill this (expletive deleted), don’t you know it,” according to court documents filed Monday. As Smith’s car was slowing to a stop, Stockley tells Bianchi to “hit him right now,” at which point the driver slams the police SUV into Smith’s car. Court documents did not disclose the source of the quotes. Police have arrested a suspect in the ongoing church fires set in the St Louis area. A suspect has been arrested in a string of fires at seven St. Louis-area churches, most of them with black congregations. The blazes are being investigated as possible hate crimes. St. Louis police spokeswoman Schron Jackson says a 35-year-old man was taken into custody Thursday. As of midday Friday, the man has not been charged in St. Louis, where five of fires occurred, or in St. Louis County, the site of the other two. The fires broke out from Oct. 8 to Oct. 22. Five of the churches have predominantly black congregations. Jackson says the suspect is black. A motive has not been disclosed. In every case, a church door was ignited and in most cases the building was unoccupied. No one was hurt. No surprise here with the record of St Louis Prosecutors in the Michael Brown investigation…The only surprise is that the DA was caught, and not given a walk and promoted. 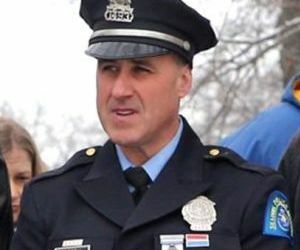 A former St. Louis prosecutor covered up a vicious beating of a handcuffed suspect last year by a veteran cop with the St. Louis Metropolitan Police Department that included the officer shoving his handgun “down the throat” of the suspect, who was already in custody. Those are the shocking revelations in a guilty plea agreement released Monday from Bliss Barber Worrell, former assistant circuit attorney for the city of St. Louis, who admitted to covering up an assault by a police detective in July 2014. Worrell has since stepped down from the circuit attorney’s office and now works in private practice, according to the St. Louis Post-Dispatch. The plea agreement details egregious misconduct from Worrell and law enforcement officials linked to the beating of a suspect over fraudulent use of a police officer’s daughter’s credit card. During her tenure as a prosecutor at the circuit attorney’s office, Worrell developed a close friendship with a “veteran officer” — who is not named in the plea — who assaulted a suspect on the night of his arrest on July 22, 2014, according to the plea. The suspect is also not named, but is identified as “M.W.” in the plea. 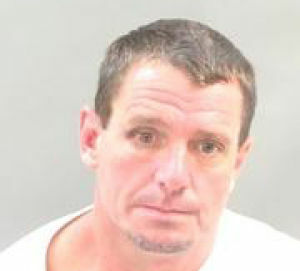 According to the St. Louis Post-Dispatch, the circumstances of the plea line up with the reasons Worrell was asked to resign from the circuit attorney’s office after St. Louis police detective Tom Carroll allegedly assaulted 41-year-old Michael Weller. Weller had been Weller arrested and accused of using Carroll’s daughter’s credit card, which had been stolen during a car break-in. Worrell would resign days after the assault. Carroll was first suspended around that same time, according to the paper; two months later he also resigned. All charges against Weller were eventually dropped. According to the plea, Worrell and the veteran officer frequently “communicated and texted each other” and “often” confided in one another. They were also training for a marathon together. The night the assault took place, Worrell says, she received several phone calls from the veteran officer while she was at a St. Louis Cardinals game. While she couldn’t remember the entirety of the conversation because she had been drinking alcohol during the baseball game, she did remember the veteran officer told her that the suspect had been arrested for allegedly using the officer’s daughter’s credit card. Worrell says she believes she “made a joke” about what the officer might do to the suspect. Later that night, the officer told Worrell that he injured his foot and was concerned the injury might affect his ability to train for an upcoming marathon. The following day, Worrell realized the officer had injured his foot while assaulting the suspect, the plea agreement reads. In the plea, Worrell says that she did not intend to bring any charges against the suspect in the incident, but that she was present when the arresting officer showed up at the warrant office and decided to help a new prosecutor file charges against the suspect. The report from the arresting officer did not match what she had heard from the veteran officer, but she failed to tell her supervisors what she knew about the incident and filed charges against the suspect anyway for receiving stolen property, for fraudulent use of a credit card and for allegedly attempting to escape while resisting arrest. Makes you wonder if all that was planted, too. A black 18-year-old killed by police in St Louis earlier this week was shot in the back, authorities said on Friday, adding weight to protests that have challenged the official account of his death. 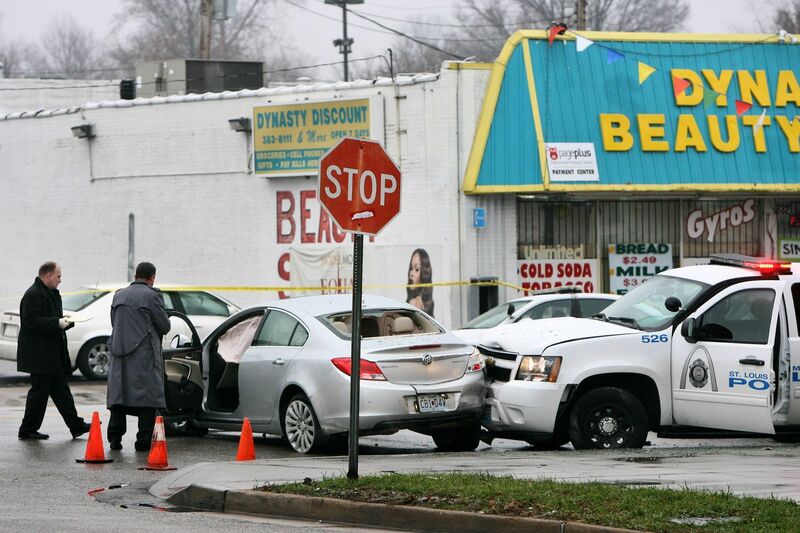 A preliminary autopsy by the city medical examiner determined that Mansur Ball-Bey “sustained a single fatal gunshot wound to his back”, according to a statement released by the St Louis metropolitan police department. Police chief Sam Dotson acknowledged to the St Louis Post-Dispatch, which first reported the autopsy finding earlier on Friday, that it may mean Ball-Bey was shot while running away. He said, however, “I just don’t know yet.” The shooting is being investigated by the department itself. Renewed protests broke out in St Louis on Wednesday evening after Ball-Bey was killed as officers executed a search warrant at his aunt’s home that morning. Police deployed teargas and smoke canisters to sweep demonstrators from the streets and nine people were arrested, as some threw rocks and bottles at police lines. Police swiftly said Ball-Bey “turned and pointed a gun” at officers after fleeing the home raid through the back door with another teenager. “Fearing for their safety, two officers fired their weapons,” they said on Wednesday. Some witnesses have insisted, however, that the 18-year-old was not carrying a weapon and was shot as he ran away. Two white male police officers shot at Ball-Bey, police said. The pair, 33 and 29, have both worked at the department for seven years. Their names have not been released and it is not clear which officer’s shot struck Ball-Bey. The officers have been placed on leave. The shooting took place about nine miles south-west from where Michael Brown, an unarmed black 18-year-old, was shot dead in August last year by a white police officer in the St Louis suburb of Ferguson. Ball-Bey’s death also fell on the anniversary of the fatal police shooting of Kajieme Powell, a black 25-year-old who had a knife, nine miles to the east.